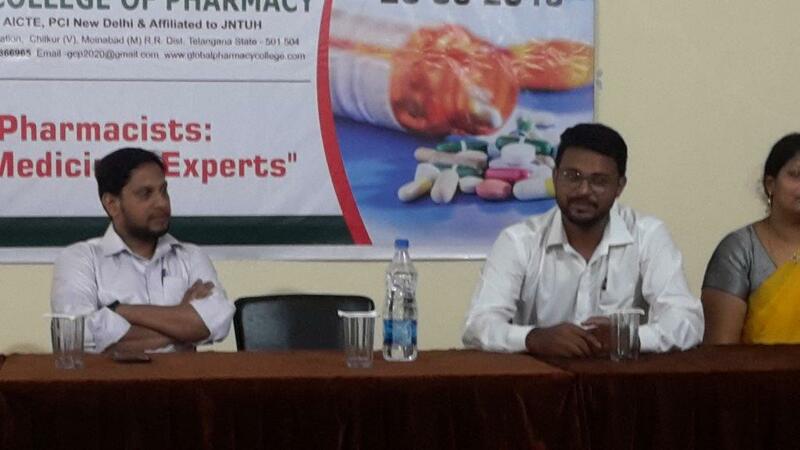 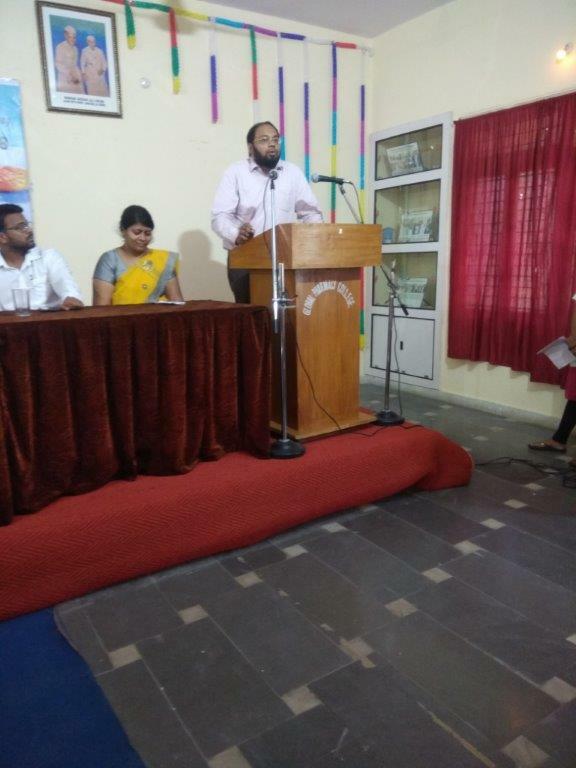 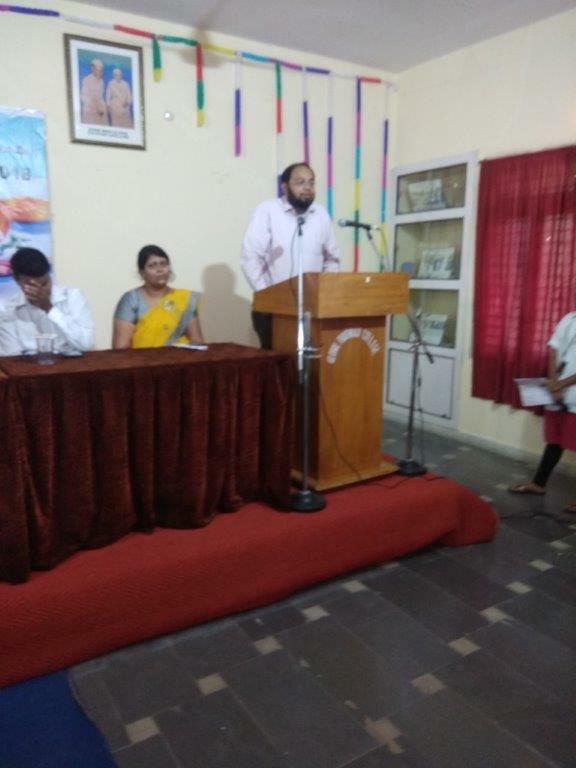 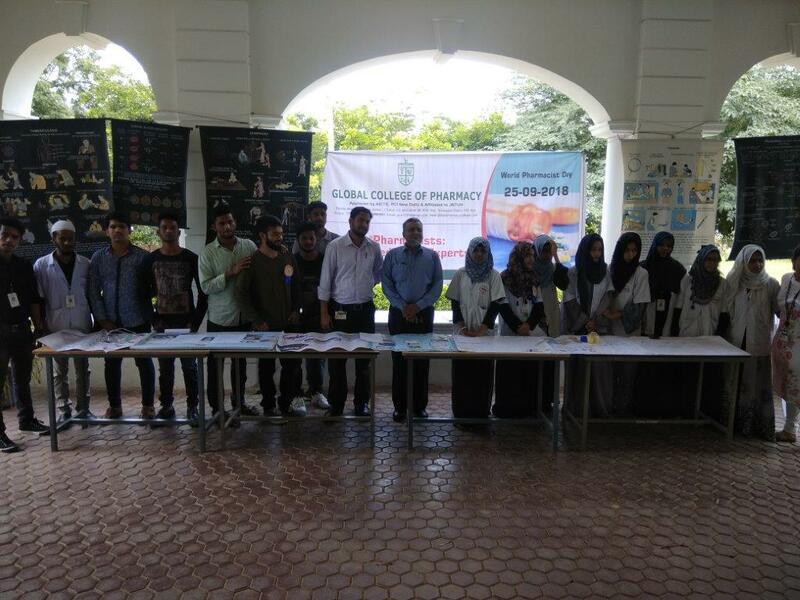 On the occasion of world pharmacist day, 25 September 2018, Global College of Pharmacy, Moinabad, Telangana state conducted program giving an insight on the theme proposed by AICTE i.e; “Pharmacists- Your Medicines Expert”. 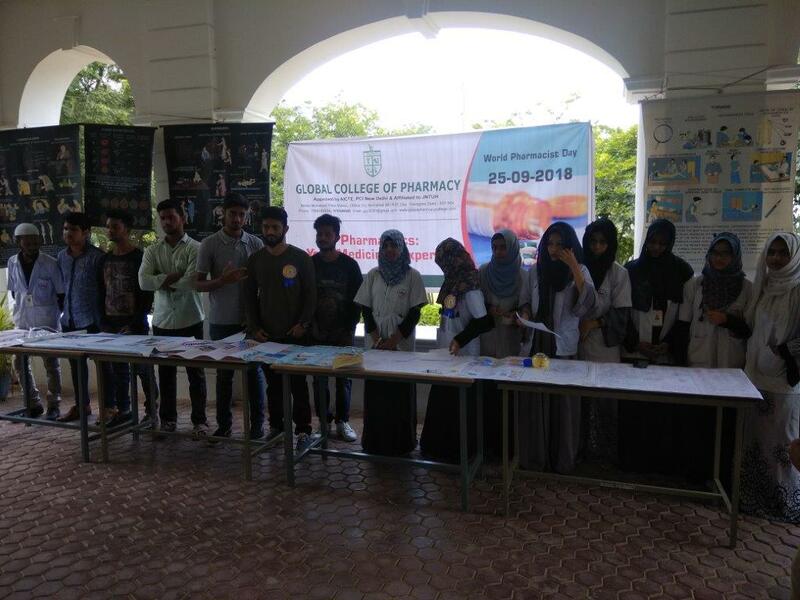 The college management and students together organized presentations on professional ethics, the role of the pharmacist in the healthcare sector and scope including newer trends in pharmaceuticals. 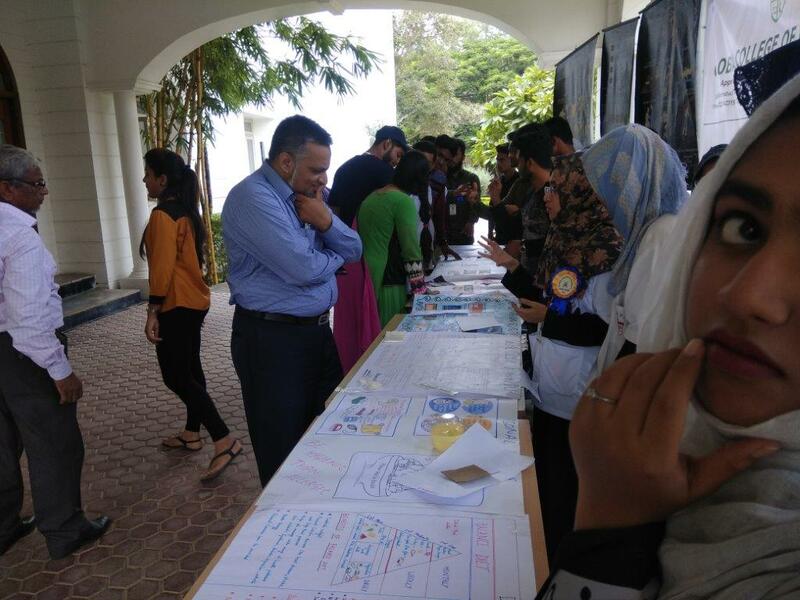 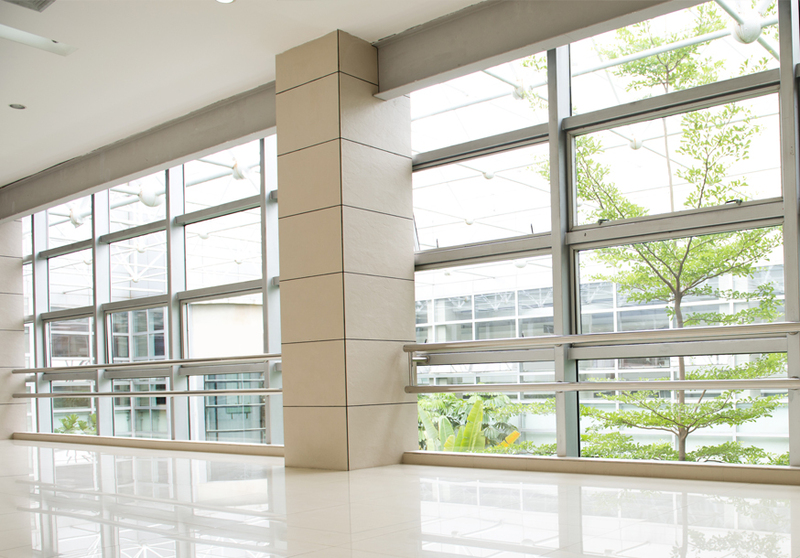 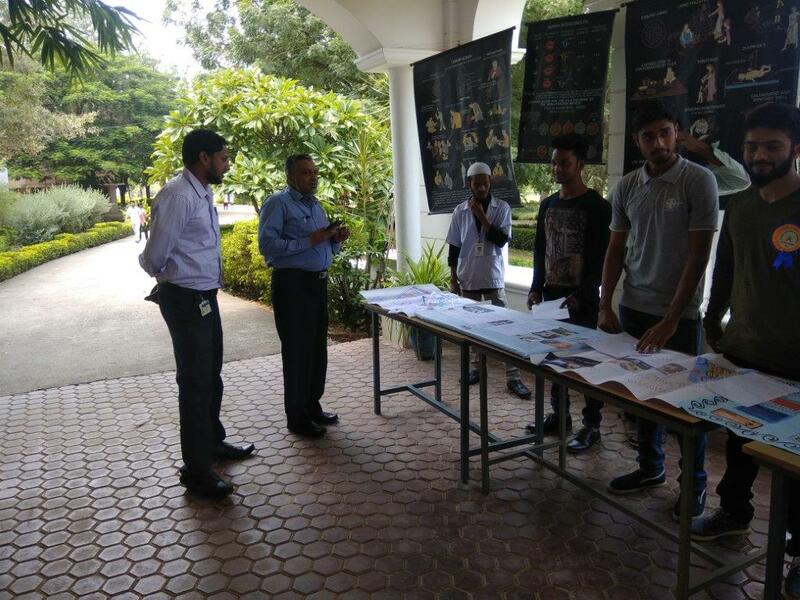 The students actively coordinated and set up awareness camps focused on drug addiction, abuse, emergency care, and personal hygiene on the college campus across engineering and management students. 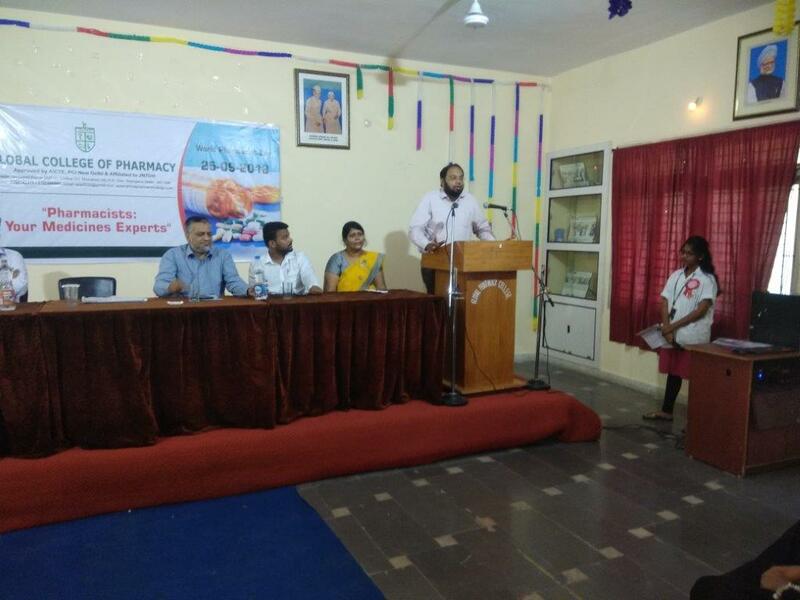 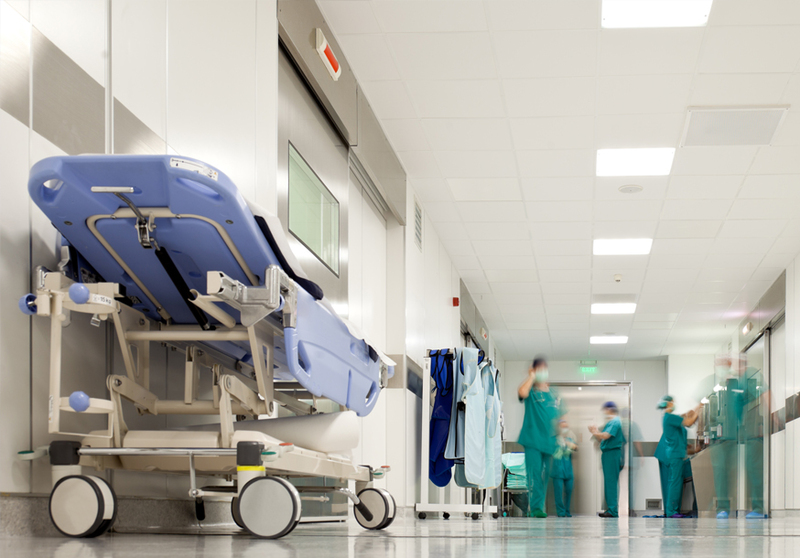 The event carried on a slogan as “Drug takes you to hell, disguised as heaven”. 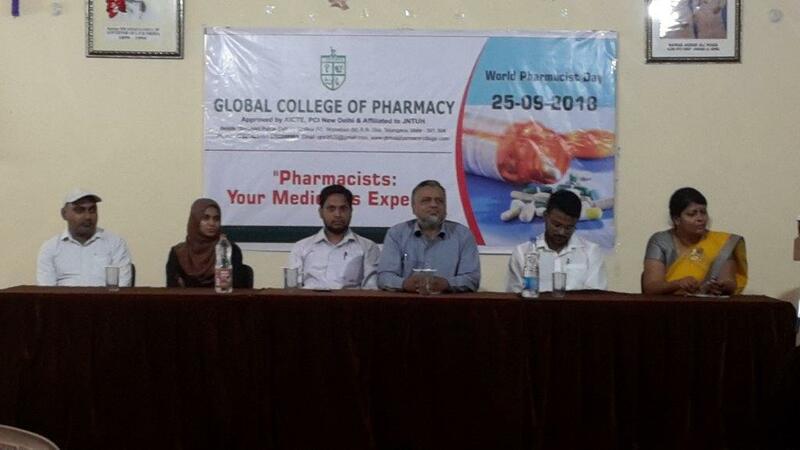 The event was successful and we look forward to continuing for the next years.